Two creatives with a thirst for travel and extreme sports. 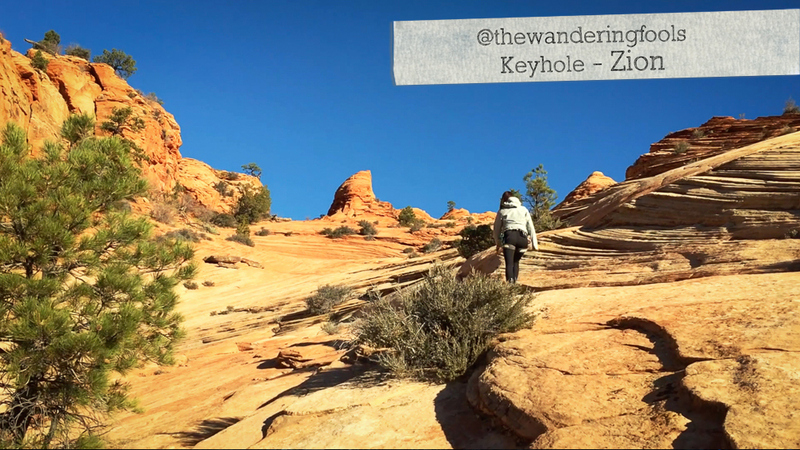 For our last adventure in Zion, we ran Keyhole Canyon. It was a little hard to get motivated after running The Subway and Pine Creek, respectively, the previous 2 days. 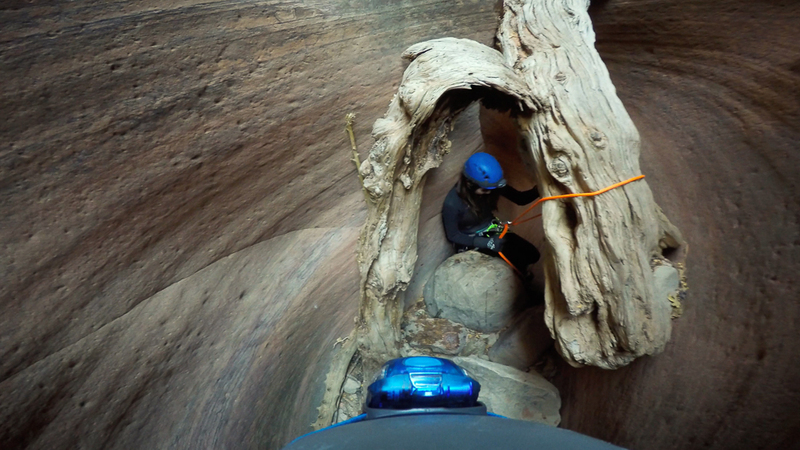 Fortunately, Keyhole is arguably the easiest, shortest canyon in the park. So we didn’t feel like committing to doing it would be a mistake we would regret for long. After picking up our permit, we drove to the start/end location for the canyon. (The path is a loop!) We put on our damp wetsuits and geared up. Because the canyon is short, and its rappels top out at around 20 feet, we packed super light, bringing a 40-foot rope and 60 feet of webbing. 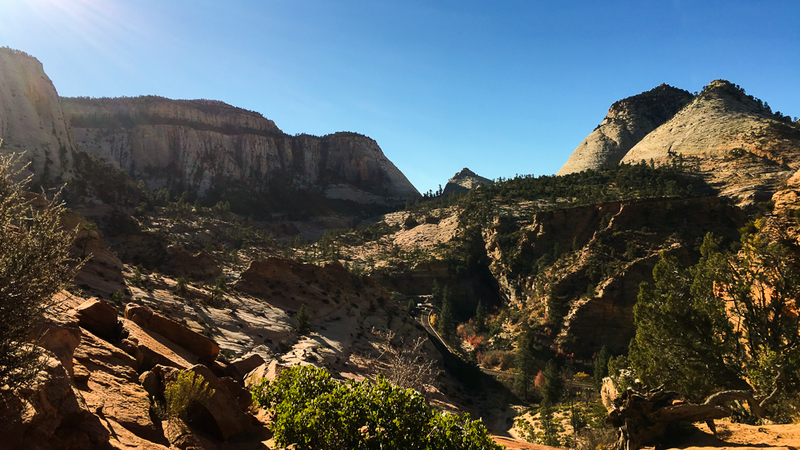 We hiked along the road a few minutes and then turned and worked our way up the wash to the drop-in location. It was 9:45 – a late start for us – and a chilly 54 degrees. But with so little gear, we were able to make quick progress and keep warm in the process. Keyhole had a few tree jambs to rappel from. Ms. Fool depending into the darkness. Dark enough that we needed headlamps. The water in Keyhole was terrible. A few of the potholes were ripe…really ripe. Standing in a pool, Ms. Fool said she felt like her skin would take ages to lose the stench of urine and decomposing plant matter. Keyhole has some really scenic parts. The slot walls are very pretty, with multi-colored bands of stone and narrow passages. 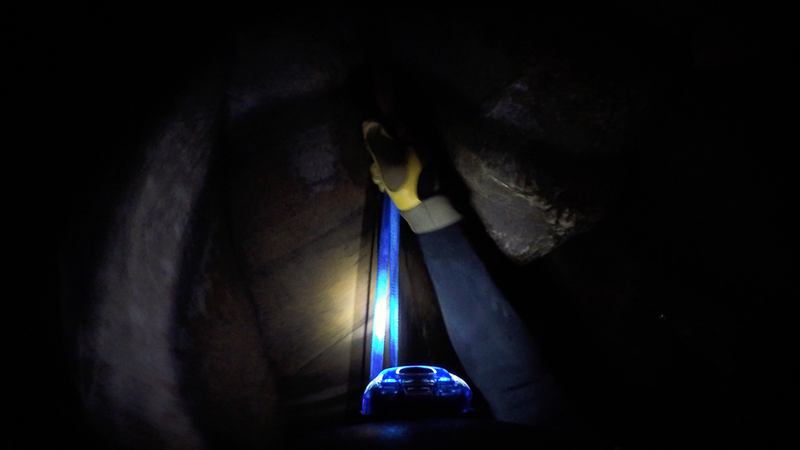 Larger people may struggle in some of the most narrow passages, which require lots of leaning and good footwork to make it through. A man-made tunnel for drainage was part of the exit hike. The last few pools were full of tadpoles in various stages of metamorphosis into frogs. We took some time to watch them swim around and exited just shy of 2 hours after we started. And, best of all, our car was right there waiting for us. 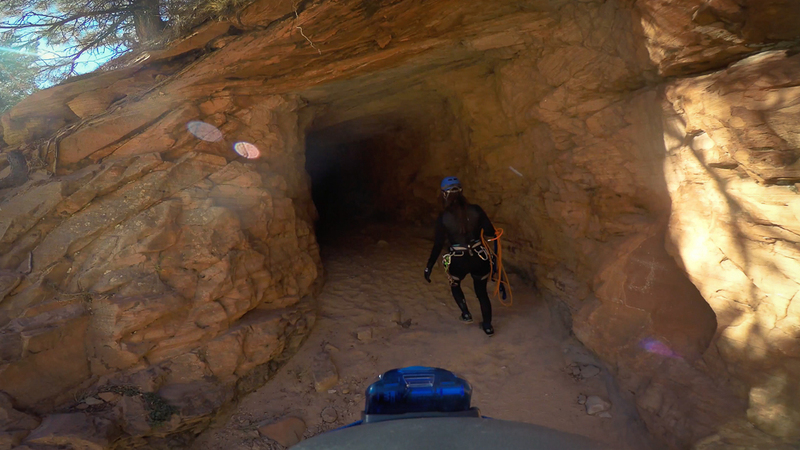 Keyhole is an easy introductory canyon with some water, short rappels, and narrow passages. Just remember that “easy” does not mean accidents will not happen. People have died and broken bones in this canyon many times, and larger or claustrophobic canyoneers could may struggle in the narrow spaces. We never ran into other groups when we ran it. However, we have heard it can get quite crowded, which takes away from the experience. **Disclaimer: Canyoneering comes with serious risks and should only be done if you have proper training or an experienced leader. The information above is not to be used to attempt the canyon and is purposely vague. 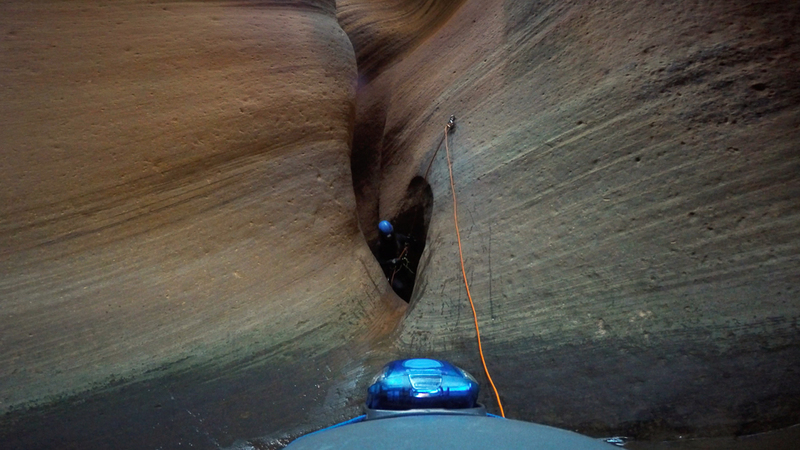 For proper guidance, check with your local canyoneering experts.